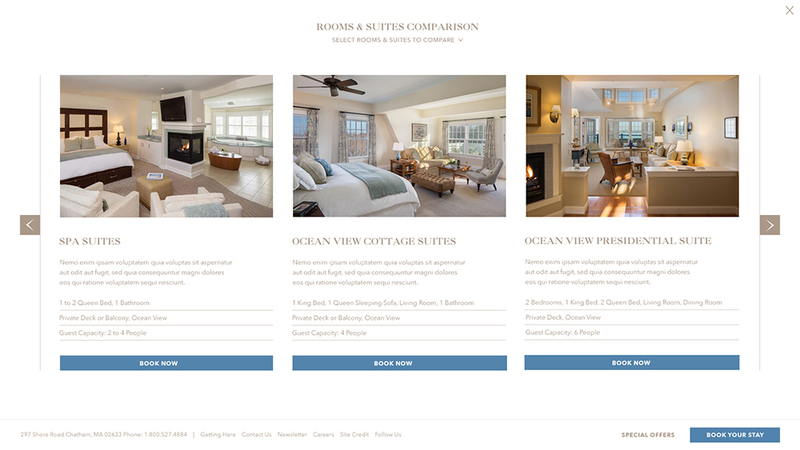 This iconic Cape Cod resort has a solid base of loyal customers, but needed our help cultivating a new generation of vacationers who look online to research and compare. 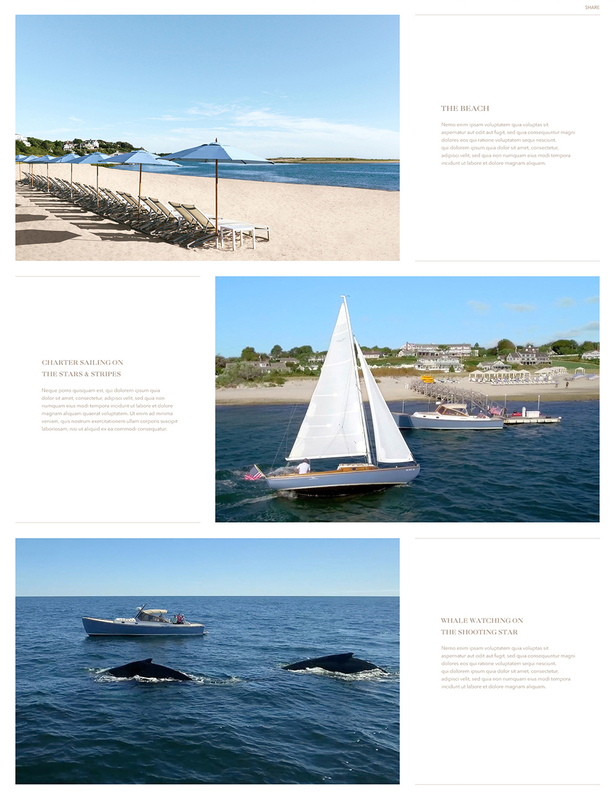 Choosing a vacation destination is an emotional decision, so we had to perfectly convey the experience of what it’s like to be on the property. 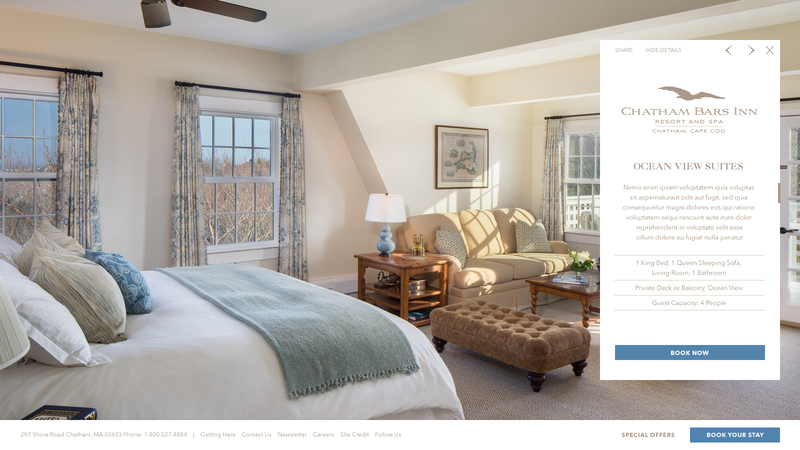 Chatham Bars Inn needed a complete overhaul of all site content. 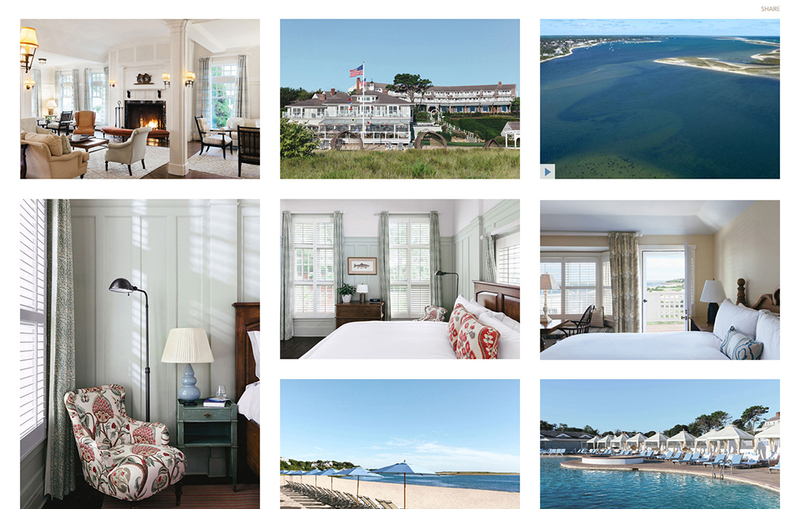 We photographed the amenities, restaurants and rooms, and provided storyboards and on-site art direction for the videos. 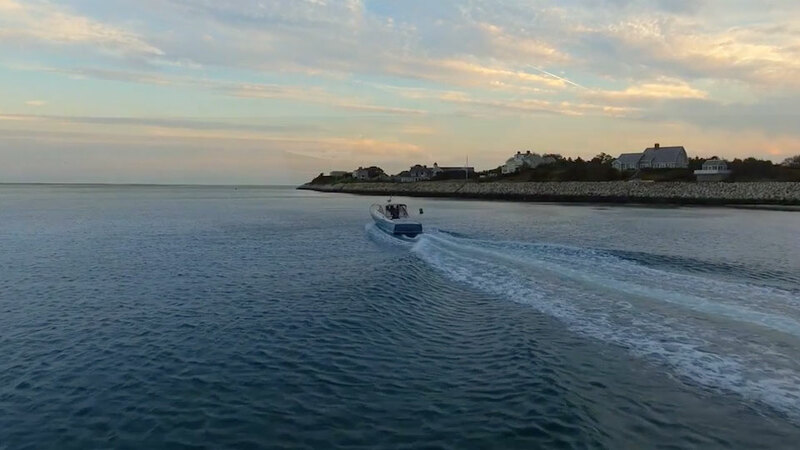 Film takes the lead throughout the site – we want site visitors to almost feel and smell the ocean spray as they browse The Experience section, emphasizing the resort’s connection to the ocean and to nature. 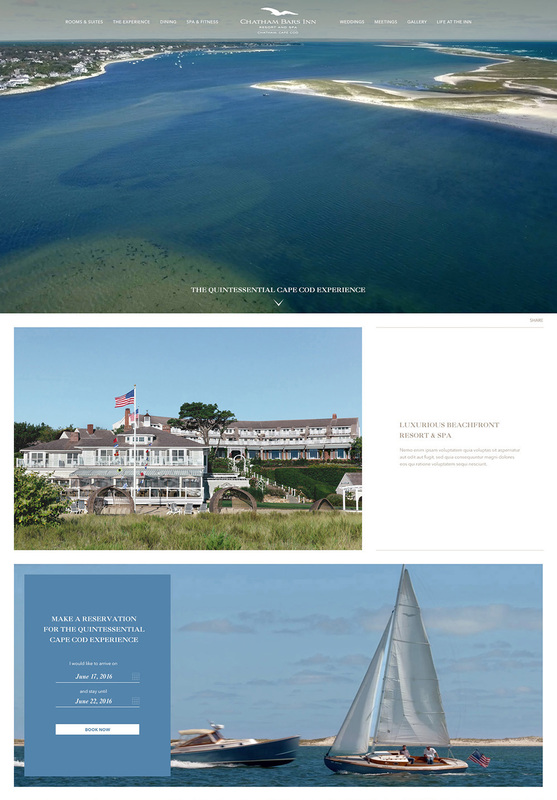 We wanted to digitize an experience and transport the site visitor to this beautiful place. 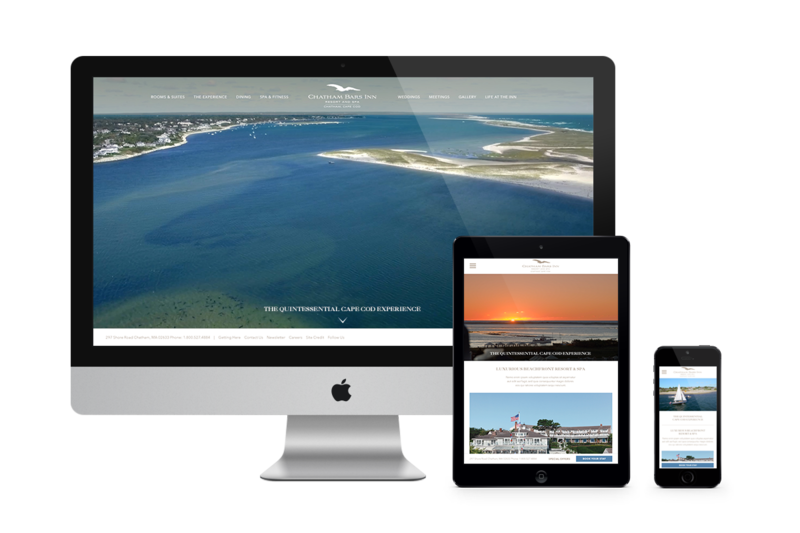 We ensured all digital advertising had the same tone of voice and quality imagery for a consistent brand experience across every touchpoint. 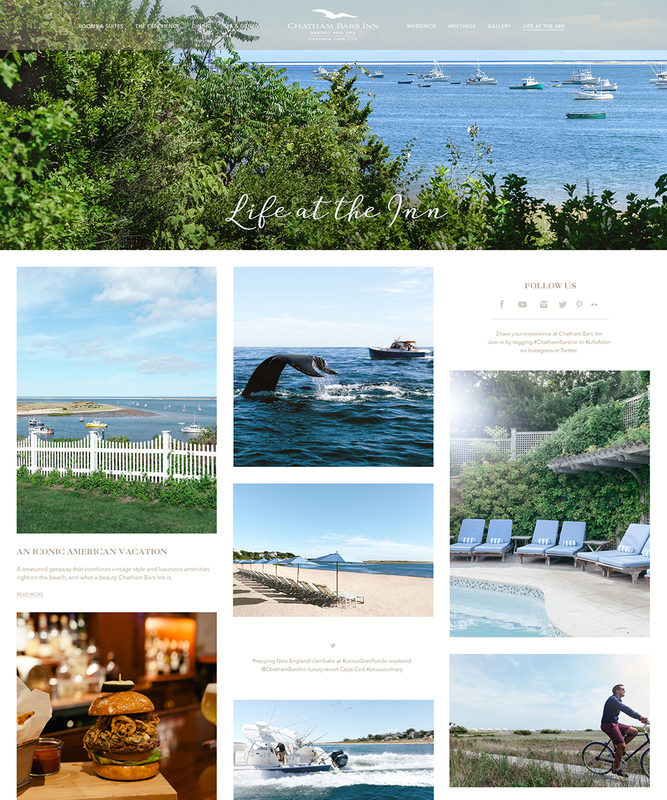 Life at The Inn is a blog and social aggregator that the resort can update with stories and upcoming events that reflect the unique nature of the property. 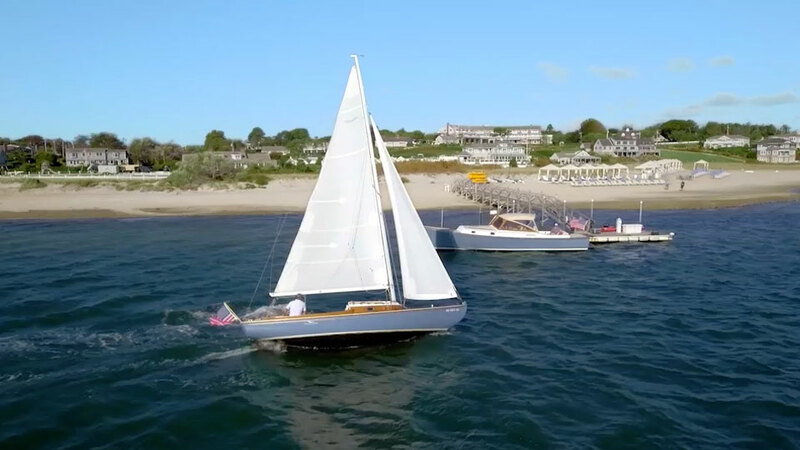 Travelers are increasingly using mobile devices to research and book travel. 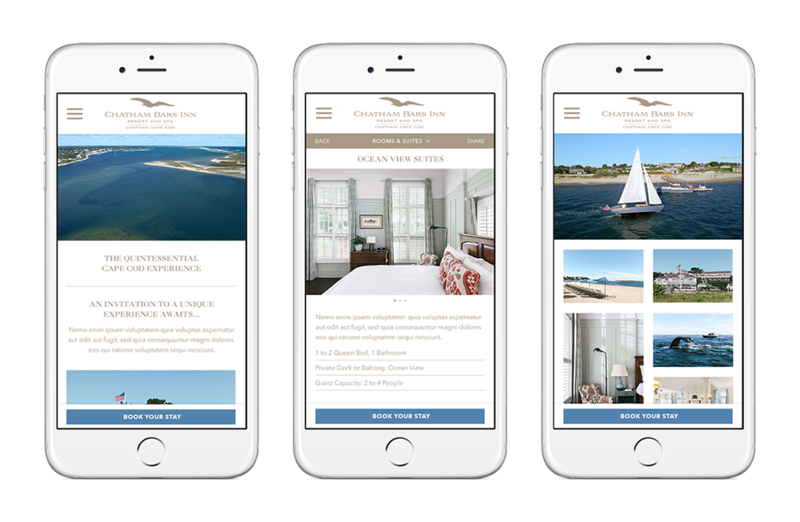 We designed the site to be responsive, simplifying the content as the device gets smaller to ensure swift engagement and bookings.